Lichfield is a cathedral city located in Staffordshire. It is one of only eight civil parishes granted city status in England. Lichfield town has a population of around 34,000, but the wider Lichfield District has at least 101,000 residents. Lichfield is most famous for its magnificent three-spired medieval cathedral, the only medieval three-spired cathedral in the UK, which dates back around 1300 years. Locals are also proud of the fact that they share a birthplace with Samuel Johnson, who authored the first authoritative Dictionary of English. The city’s earliest recorded history describes Chad of Mercia arriving to establish himself in the region as a bishop in 669 AD. The settlement then developed as the clerical centre of Mercia. The expansion of the city continued in the 12th century led by Roger de Clinton, who garrisoned the Cathedral and arranged the town with a ladder-shaped street design that is still in place today. In recent times, Lichfield was in the news in 2009 when a metal detectorist found the largest hoard of Anglo-Saxon gold and silver in a farmer’s field near Lichfield. The collection is valued at £3.285 million, a sum shared by the landowner and discoverer of the treasure. 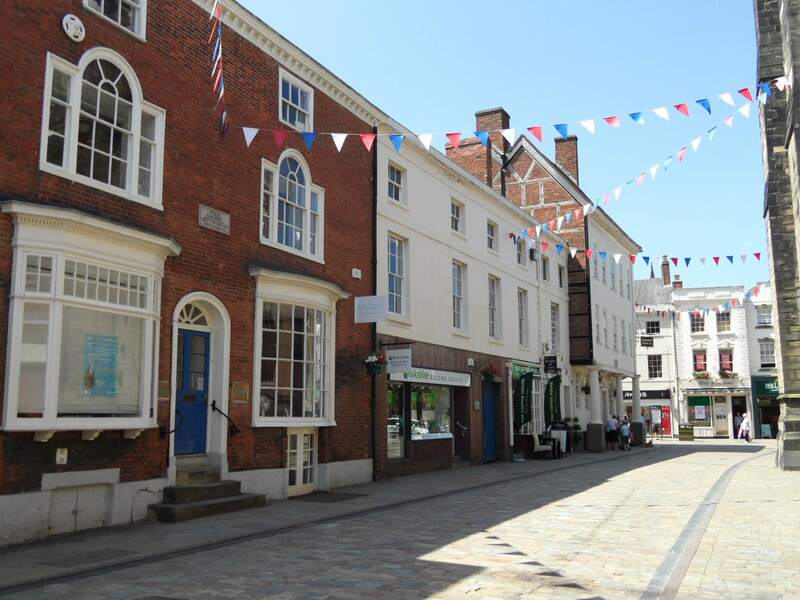 Today, Lichfield retains great importance as an ecclesiastical town, and maintains its historical charm as industrial and commercial development in Lichfield is restricted. In the city centre, there are 230 listed buildings, many of which are fine examples of Georgian architecture, and the character of bygone days is still very prominent. Lichfield is situated 16 miles to the north of Birmingham, which makes it a much-desired location for those who work in the city but who prefer a more rural and relaxed lifestyle away from work. The journey time from Lichfield to Birmingham by car or train is about half an hour, so it is within easy commuting distance. Lichfield has a varied housing stock ranging from beautiful timber framed Tudor houses in the city centre, to modern houses on estates on the outskirts of the city. Last year detached houses were the type of housing that was most sold, with an average selling price of around £315,000. A semi-detached property will set you back around £270,000. While there are much more expensive areas in the UK than Lichfield, if you need extra space, moving house in the town can be a costly venture. It makes far more sense from a financial and practical point of view to stay in your current home, and gain the extra space you need by converting the loft. Why Touchstone to Convert Your Lichfield Loft? Touchstone have converted literally hundreds of lofts in the Birmingham area over the last 30 years, and many of these located in Lichfield, where we are very familiar with the local housing stock. We are also well acquainted with the regulations in the town, which sometimes require the homeowner to obtain a building permit to convert a loft. In the event you need a permit, we can help with this. When we start a new conversion, we assign a dedicated supervisor to the project who will be on hand throughout and always reachable should you have any questions. His job is to make sure the entire project runs smoothly and that the inhabitants of the property experience a minimum of inconvenience during the build. When you choose us for your loft conversion, you can rest assured that no part of the work is ever outsourced. We are loft conversion specialists rather than general builders, and each member of our team is fully qualified for the job they perform. We prefer it this way out, as it guarantees we always maintain our high standard of work and we do not have to rely on other companies for any portion of the work to be completed. We have won national awards for construction, as well as for the service we provide to our clients. We know it is important to keep you informed of how the work is progressing at each stage, and to meet targets on time. Our quote are fast and free, so call us today on 0800 881 8194 or fill out this form, and we will arrange a time to survey your loft at your convenience, and advise on the type of conversion that will best suit your home.